Former US President says Americans living "dangerous times", urges Democrats to vote in November’s elections to restore "honesty". 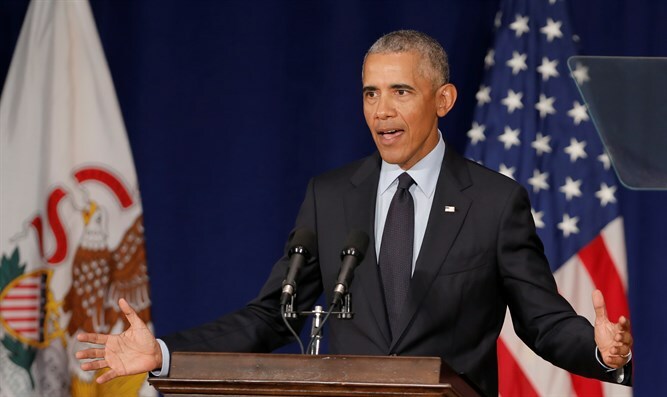 Former US President Barack Obama on Friday launched a blistering critique of President Donald Trump and Republicans and urged Democrats to vote in November’s elections to restore “honesty and decency and lawfulness” to government. Speaking at the University of Illinois at Urbana-Champaign and quoted by Reuters, Obama said Americans were living in “dangerous times” and accused Republicans of undermining global alliances, cozying up to Russia and exploding the federal deficit. The midterm elections are scheduled for November 6. Both parties have encouraged their core supporters to get to the polls on that day. “It’s not conservative, it sure isn’t normal. It’s radical. It’s a vision that says the protection of our power and those who back us is all that matters even if it hurts the country,” he said, according to Reuters. Obama had so far been reluctant to publicly criticize his successor, though in May he decried Trump’s decision to withdraw from the Iran nuclear agreement, claiming the decision was "misguided" and that the deal was working. Last week Obama appeared to chide Trump, without naming him, in a eulogy for the late Republican Senator John McCain.